ICON is a non-invasive treatment solution that effectively resurfaces the skin over a series of sessions. 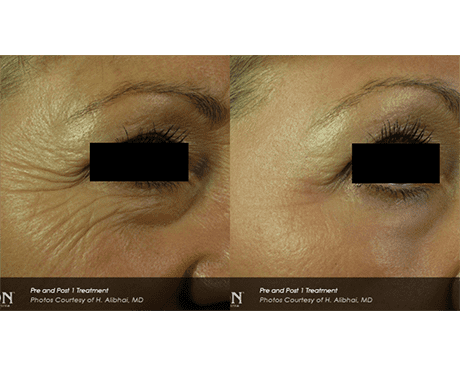 This FDA-approved treatment helps tighten and firm loose skin, enhances texture, and reduces the appearance of acne scarring, mild to moderate wrinkles, and stretch marks. No surgical intervention or needles needed. Schedule a complimentary consultation today to learn more about how ICON can improve your skin health! Wrinkles – Stimulate collagen production and promote the regeneration of new skin. Stretchmarks – Target discoloration frequently caused by stretch marks and improve smoothness with collagen production. 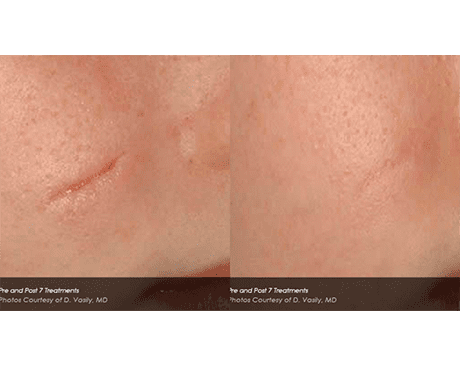 Acne Scarring – Break down scar tissue and promote the growth of new tissue. Photo Rejuvenation – Correct uneven pigmentation, and reduce the appearance of sun spots, age spots, and more. Leg Veins – Reduce the appearance of spider veins without downtime. 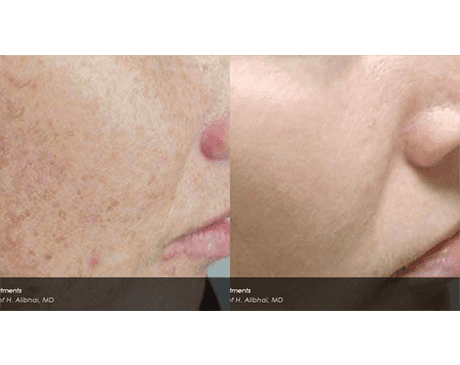 Rosacea – With laser technology, reduce and control redness, flushing, and breakouts that result from rosacea in a matter of 3-6, 30-45-minute treatments. 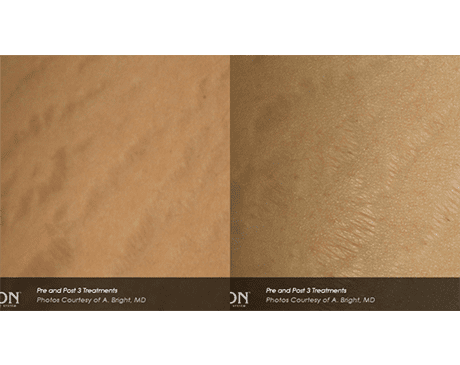 For women concerned with surgical scarring, fine lines, and wrinkles, stretch marks, acne, melasma or hyperpigmented marks, non-ablative skin resurfacing is a highly effective treatment option. The Fraxel laser handpiece uses the most advanced technology available for resurfacing and rejuvenating skin. It is the only FDA-approved laser for treating stretch marks. For most patients, 3–5 sessions, scheduled 4–6 weeks apart are necessary for optimal results. 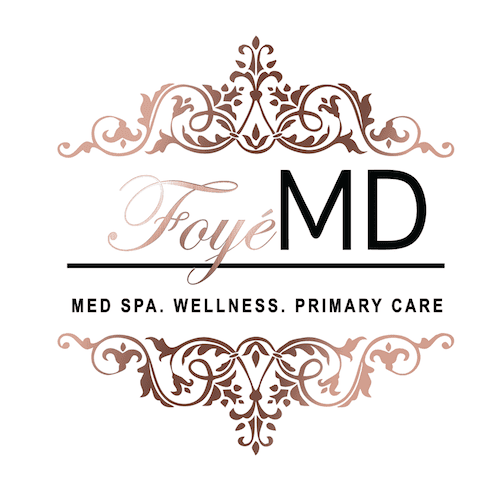 The ICON fractional laser resurfacing procedure at Foyé MD and Spa works by targeting tiny tissue columns within the larger treatment area, leaving some zones untouched. By focusing on a portion of the tissue, there is significantly less damage done resulting in less downtime and discomfort, and faster healing than with other procedures. It is common for patients to have four treatments, scheduled at one-month intervals. Laser resurfacing helps reduce the appearance of crepey skin texture, stretch marks, acne and surgical scars. The safe and effective procedure removes age spots, improves skin tone and texture, eliminates years of sun damage, smooths wrinkles, and reduces stretch marks, the Healthy tissue is restored through the natural healing process resulting in younger-looking, clearer, and healthier skin.